LamiFlex enterepise division, responsible for design and production of the equipment for glass lamination was established on the base of Dnepropetrovsk machine tool plant (Ukraine) with more than half a century history. 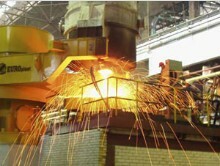 The need for new equipment creation was initiated by the shortcomings of operation and quality of the products, made with the help of the foreign hardware designers. 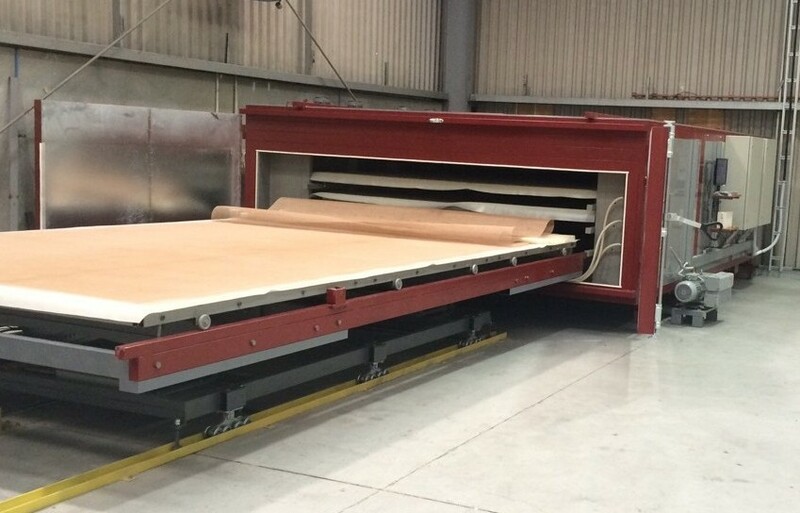 Long-term experience of various lamination systems operation together with innovative approach gave out engineers the possibility to create entire line of highly effective equipment for production of manifold laminated glass of the highest quality. Due to their structural peculiarities, the LF series convectional furnaces give the possibility to produce all the types of manifold laminated glass, both from flat and shaped blanks of almost any size. Thermal insulated bottom with rigid load frame, made of high quality rolled stock provides minimal requirements for production premise, makes furnace installation process very easy and its operation comfortable and economically feasible. At long-term operation there is no deformation of the load frame as there is applied the “know-how” technology for weld seams stress relief. 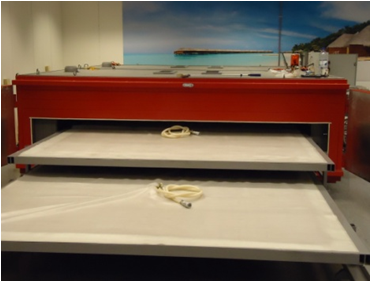 Our experienced team of heat, aerodynamicists and machine construction engineers Lamiflex developed the most sophisticated Air Flow – innovative system of the forced heat transfer agent circulation. 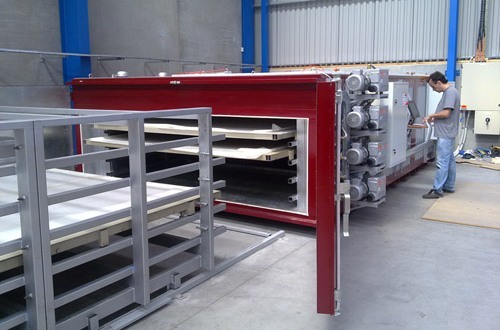 This ensures the furnace has the highest thermo technical parameters of currently available lamination equipment. The built-in powerful system of forced cooling of the finished products reduces to minimum the duration of technological cycle and positively influences on the production volume and quality of the finished products. The high effective thermal insulation makes the furnace thermotechnical specification that directly influence the products quality independent on environment conditions and the furnace itself – highly effective in terms of electric power consumption. Easy-to-use control system gives the possibility to produce laminated glasses both according to set standard algorithms and according to fine adjustments for various production processes. Sophisticated and easy to use is what we are thriving for. The system of vacuum creation and maintenance of the LF series furnaces provides usage of any other technological equipment, except included into the set, made of medicine and cosmetology grade elastomer – versatile vacuum cover. Its optimized design together with specially selected pumps ensure reliability and safety even under the most complex conditions. In-house laboratory division ensures carrying out of all the tests and researches of both laminated glass and main parameters of consumables, required for its production. Specially equipped stands are used for aerodynamic and thermotechnical specifications of separate units optimization. What is more, buying the LF series equipment the customer buys together with it the long-tern experience of technicians. Individual approach to each customer together with flexible system of adaptation of all the parameters of the customer tailored equipment make the LF series equipment purchase rational decision and sound investment. 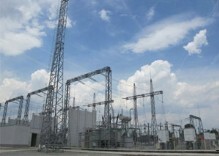 We will deliver and install the equipment on turnkey basis in any part of the world. 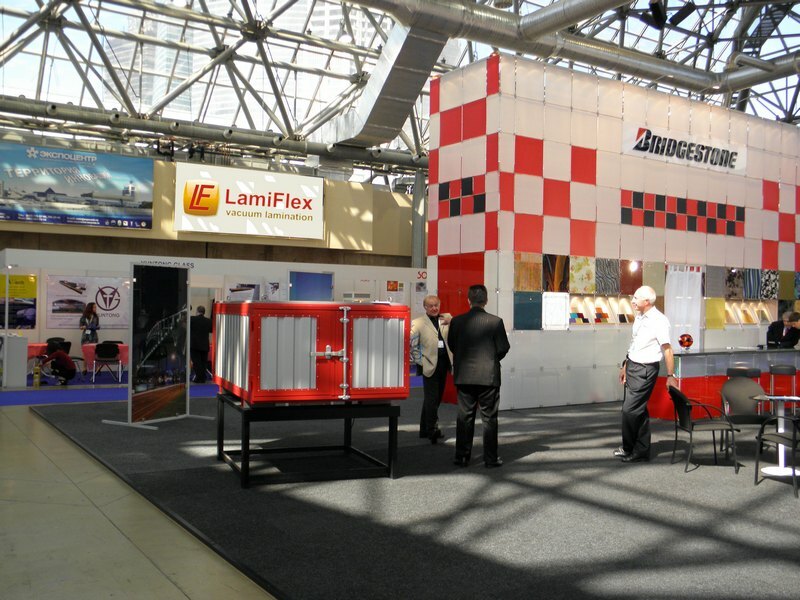 Lamiflex has installed already in more than 50 countries. In all the cases we provide consultative and technical support. In case of a technical problems Lamiflex will report back to you within 24 hours after receiving notice. If onsite technical intervention is required Lamiflex will be onsite within 7 days after notification of the problems. ... 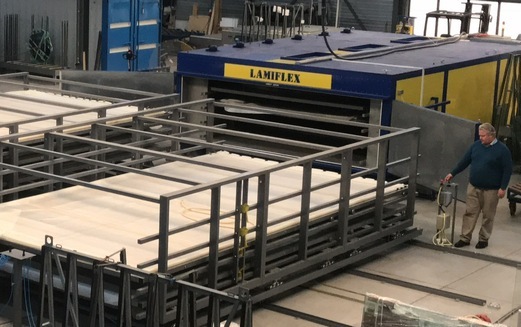 When you once again burn the bottom in an Italian or Chinese oven, remember - there are inexpensive and reliable LamiFlex ® ovens for high-quality lamination of glass in any volumes and with any thermofilms.